Once again a song appears in this list that would also fit in a "songs I didn't expect to like" category. 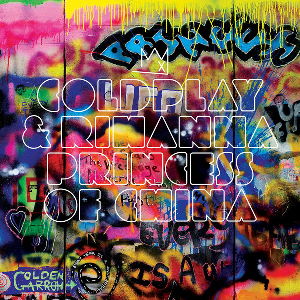 The two biggest singles off Mylo Xyloto (this and "Paradise") were both cracking tracks by Coldplay, and as I said in the entry for Paradise at #89, Coldplay aren't a band I really "love" but over the years I've ended up liking certain tracks by them. The same applies to Rihanna, I've never really liked her music (or her for that matter) but in fairness she does a very good job in this song. The very unlikely collaboration between Coldplay and Rihanna was a fantastic success, and, for me, it's a highlight in both of their careers. If you missed #67 go here.